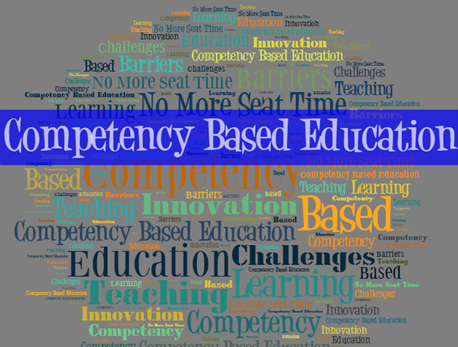 I've been a fan of the idea of Competency Based Education since I first heard of it. It seemed like such a positive development and a step ahead in the evolution of higher education here in the US and abroad. But I figured it would be quite a while (as in years, possibly quite a few years) before the country's regional accreditors would become comfortable with assessing and approving CBE programs. In the U.S., colleges and universities need to be regionally accredited if they wish for students to be eligible for the federal education funds commonly referred to as Title IV aid (in the form of grants and loans). Many students simply can't afford tuition at even the least costly colleges without some help from federal aid. So, getting back to CBE and accreditation … I knew that Western Governors University was a pioneer in CBE and that their programs had been regionally accredited, but they were well ahead of the game and seemed to be very much the exception, at least they were when I first learned about them a couple years ago. I also knew that EDUCAUSE was exploring CBE through their Breakthrough Models Incubator program last year, and this further influenced my perception that CBE had a lot of maturing to do before it was ready to take off (or so I believed). That statement about the “rapid adoption” of CBE got me curious, especially given the other statements being made here and the awareness that regional accreditation stands between several of these ideas and any sort of widespread proliferation of them. So I started searching the web for regionally accredited competency based education degree programs. I was quite surprised by what I found. Accredited CBE Programs are Growing at a Faster Rate Than Many Would Have Anticipated. Is it Gradually Going Mainstream? What has shocked me a bit (in a good way) has been learning that quite a few CBE programs have been accredited already, and that the regional accreditors have defined paths for CBE program accreditation. First, I came across this regionally-accredited CBE program from the University of Wisconsin, the “UW Flexible Option“. Then I found this article explaining how a some of Washington’s 34 community and technical colleges are rolling out regionally accredited CBE degrees (with the help of advising from WGU). In this article, we learn that in addition to UW, two other “Big Ten” Universities having introduced CBE degree programs – the University of Michigan and Purdue University. The article, Competency-Based Degree Programs On The Rise, not only confirms my perception, it also reminds us that big online players like Capella University and SNHU's College for America have accredited CBE programs. While I was at it, I figured I would confirm that the Middle States Commission on Higher Education (our accreditor at CW) has a formal process for seeking accreditation for CBE programs, and learned that they do indeed (they announced the establishment of a “Direct Assessment” Approval Process in July of last year). Given this and the approved programs noted above, it seems likely that all of the regional accreditors now have a similar process! While trolling the Web for this information, I also came across this organization and website – the “Competency Based Education Network” (http://www.cbenetwork.org/about/). “The Competency-Based Education Network is a group of regionally accredited colleges and universities working together to address shared challenges to designing, developing, and scaling competency-based degree programs.” There are dozens of colleges and universities in this group. CBE is becoming a meaningful part of the higher education landscape here in the U.S. much faster than I realized. Might President LeBlanc's other “developments” also come about a lot sooner than many would think? What do you think? (Okay, I'll say it … sorry for the corny article title, but I've been wanting to use that classic headline ‘hack' for years now and this was such a good opportunity! It really has been a bit of a shock to learn how quickly accredited CBE is evolving and changing the landscape of higher ed :)). But I digress. The real issue is the continuing reluctance of the federal government to accept anything other than butts-in-seats as “real” education. Sure there are “pilots” and “demonstration sites” — but isn’t it absurd to be piloting and demonstrating a suite of pedagogies that have been around and proven for a half-century or more. I just completed a very long tenure as a trustee and, for a few years, board chair, of Fielding Graduate University, a well regarded graduate university. When Fielding was launched in 1974, the learning model referred to “Knowledge Areas” that students were expected to master. The words are different, but the learning methodologies are essentially the same. What we need is a recognition that the alphabet-soup of CBE, DA and PLA are equally valid ways for people to learn — and in key respects, for many learners in many different environments — superior to the venerable sage-on-a-stage. The forthcoming Reauthorization of the Higher Education Act provides an opportunity to really open access for both new learners and new forms of institutions. President Obama, Secretary Duncan and Chairman Alexander (of the Senate Committee working on reauthorization) all support offering alternatives to the tyranny of the credit hour. After all this time, perhaps we really are looking at a new world. I think you are missing a key point of CBE Glen – it positions adult learners to gain the skills they (and, yes businesses) need at a faster and more affordable pace than traditional “seat time” models. Western Governors University moved in this direction, and made other innovations, specifically to create an institution where disadvantages adult learners had a chance at a degree, and CBE is an important element of it. This doesn’t mean that traditional universities are going away or that students can’t opt for for traditional routes, but it is helping to meet a very real need. Universities are rapidly becoming little more than knowledge factories, churning out “competent” students with a set of abilities prescribed by business and large corporations. Thanks for the note and insights Melanie! Sounds like great work Brandman is doing with CBE. I was impressed with Kimberly Green from Brandman when I did this piece on her work a few years back: https://www.emergingedtech.com/2011/09/blended-learning-cutting-edge-or-a-double-edged-sword/. Best of luck with the continued success of your Competency Based programs! Brandman University is approaching the end of the first year of its competency-based education BBA program and will be adding IT next. We are founding members of CBEN (Laurie Dodge, our vice-chancellor, helped develop it) and are one of the first programs to receive DOE approval for financial aid based on direct assessment (not easy, but crucial). This form of online education is indeed developing very quickly and what we are finding is that, not surprisingly, such programs need to be “high touch.” In other words, you still need lots of assistance for students if you want them to be successful. Having said that, it is still a great delivery model for a certain segment of the student population, and yet another option for those who may want to work at their own pace.